FINAL DECISION: This story didn’t work for me because I really didn’t see any relationship between April and Gunner. Having both their relationship and the parents in the same short story was just too much ground to cover and not enough development for either. THE STORY: April Ashton wants to help get her separated parents back together again. So she schemes to bring her mother to the company getaway, but part of that plan ends up being Gunner Stevens, a former race car driver who wants to buy her father’s business. But the scheme necessitates April and Gunner to pretend to be in a relationship. OPINION: There was nothing horribly wrong with this story, it was just that the short nature of the novella combined with the two romances in the story overloaded the story and meant that I just didn’t get the development of the April and Gunner romance. The beginning of the story between them was really good, but once the time came for them to get emotionally close, I thought the story faltered. Things happened too quickly and without any real development between them. Gunner fell too fast and I just didn’t buy that part of the story. WORTH MENTIONING: This story was originally published under the title WHAT A GIRL WANTS in the MOTHER, PLEASE! anthology. CONNECTED BOOKS: This book is a standalone. 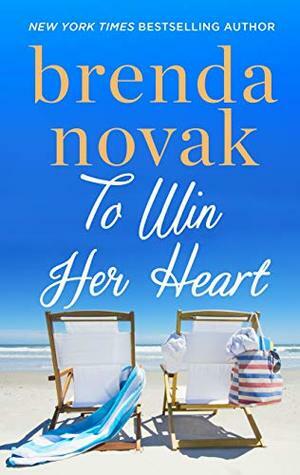 This entry was posted in Reviews and tagged Brenda Novak, Contemporary by Sheila. Bookmark the permalink.